Foster Parents are people who provide a caring, temporary home environment for children unable to live with their birth families. Foster Parents can be married or single; renters or homeowners; with or without children of their own; and can also work outside the home. A foster child is one whose own parents are physically or emotionally unable to provide for their needs. The child may have been abused, neglected or abandoned. He or she often has experienced physical, emotional, or social deprivation in the early years. Children needing foster care come from all races and range in age from birth to 18 years of age. How Long Does a Child Stay in a Foster Home? Placement of foster children can vary from a few months to a number of years. During a child’s stay in foster care the caseworker works with the child’s family to teach them skills necessary to care for their child. Our hope is to return the child to their family as soon as we safely can. The Ohio Department of Job and Family Services requires that all foster parents be licensed. You need to be over 21, you can be married, single, or a co-parent. The licensing process includes being interviewed by a social worker (home study), a medical report, references, and a check of the physical condition of your home, along with a fire inspection. Foster Parent training is required of all applicants to expand your knowledge of the foster parenting role and to strengthen your ability to care for foster children. The current requirement is 36 hours. A home study consists of interviews with both husband and wife, or any person that will be providing care for a child (such as in the situations of co-parents). The social worker will want to become better acquainted with your family and to give you the opportunity to learn more about the agency. 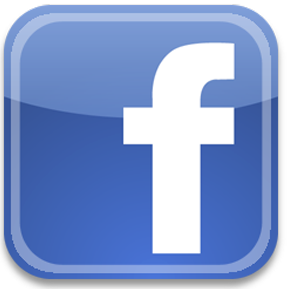 The social worker will be asking you to share background information which will help the worker know you as a family. Social workers are looking for families who can cope with the stress and meet one another’s needs relatively well. We do not expect perfect families. The social worker will, of course, want to see your home and to meet your children. It does not matter whether you live in a house or an apartment. It is only necessary that you have a suitable dwelling with space to accommodate additional children, and that there are no hazards to the health or safety of a foster child. Families are not paid for caring for foster children; however, a monthly per diem check is provided by the agency for food, clothing and incidentals. The amount varies with the age and special needs of the child, as well as the level of care provided to the child, and is considered reimbursement for necessary expenses. In addition to the board rate, the agency assumes the cost for medical and dental care not covered by the medical card. There also may be some child care reimbursement available for day care for working foster parents. 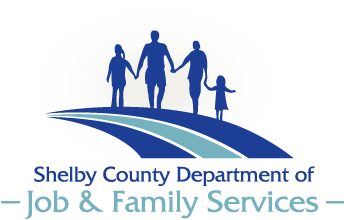 Call Shelby County Job and Family Services at 937-498-4981 and ask to speak with The Foster Care/Adoption worker. This person will be very happy to answer any questions you have and will send you an inquiry packet containing much more information.